Posted March 26, 2018 & filed under Tips & Tricks. 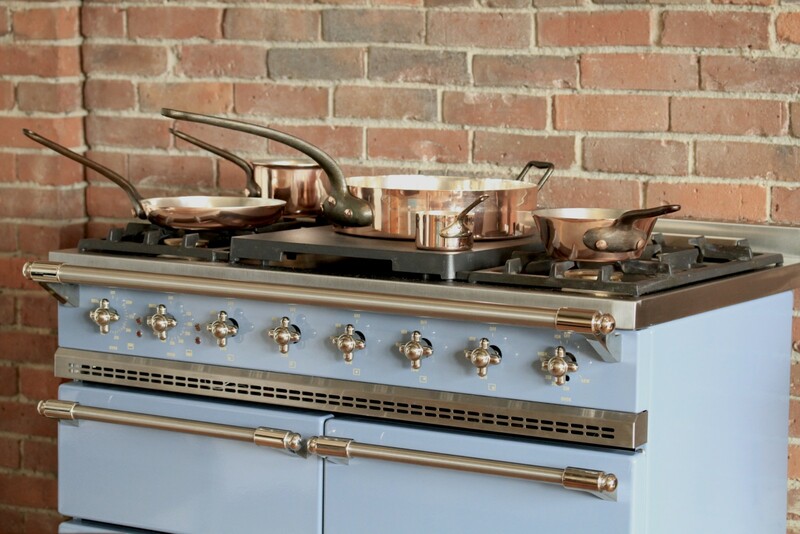 Lacanche ranges feature powerful BTU gas burners, which makes cooking quite enjoyable! There are times when your recipe calls for a very low simmer. In those cases, we recommend using different implements to control heat diffusion and distribution. 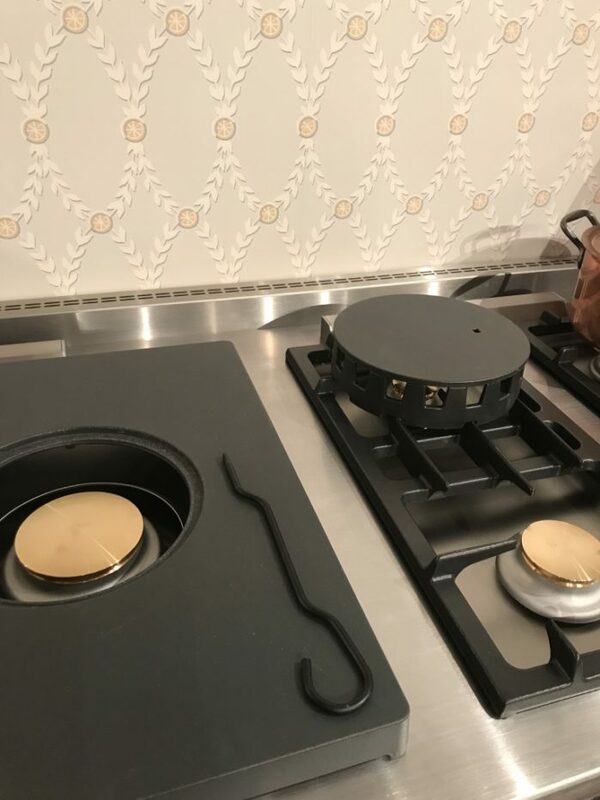 If you have the Traditional plate option, you can use the removable center plug as a diffuser, as it is solid cast iron. Additionally it can be coupled with the Wok Ring for added diffusion or when smaller pots are being used. Please see the photos below for reference. 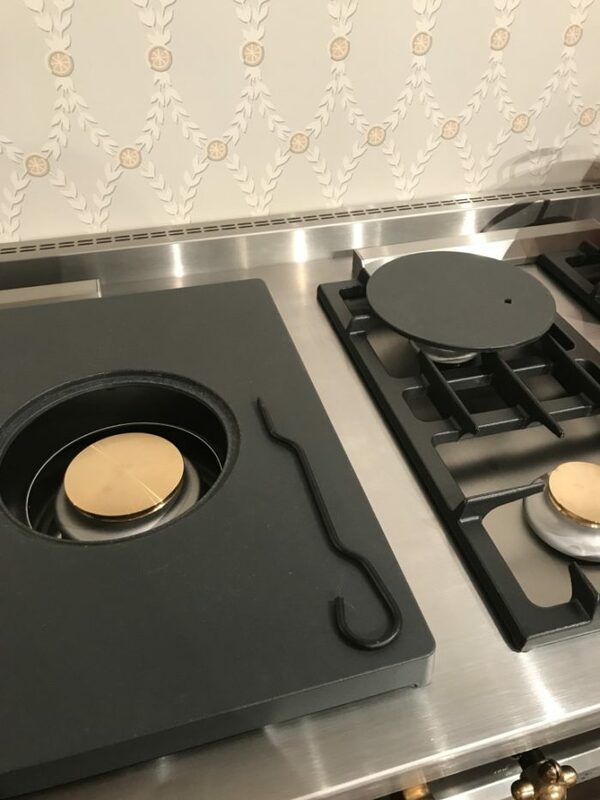 Removing the center disk to use as a diffuser on another burner. Place the center disk over your wok ring for even more heat diffusion. Posted February 22, 2018 & filed under Lifestyle, Tips & Tricks. 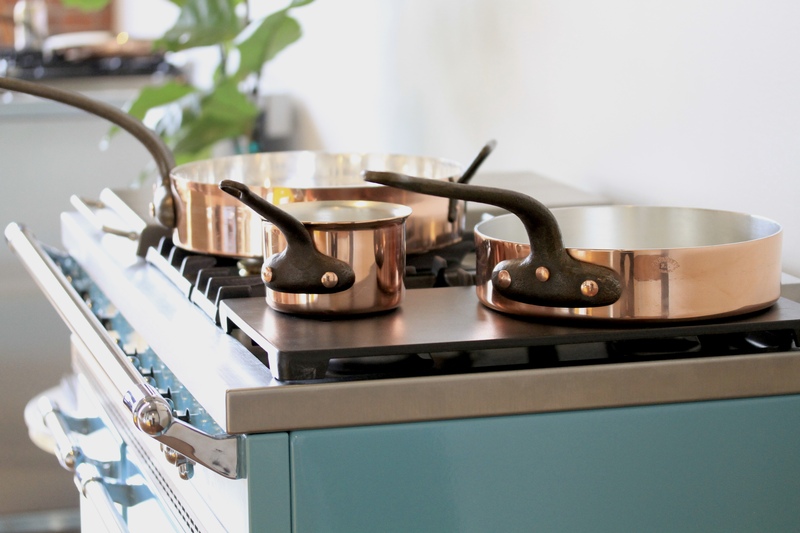 Duparquet handcrafts heirloom-quality copper cookware that beautifully complements the handmade bespoke quality of the Lacanche Range. 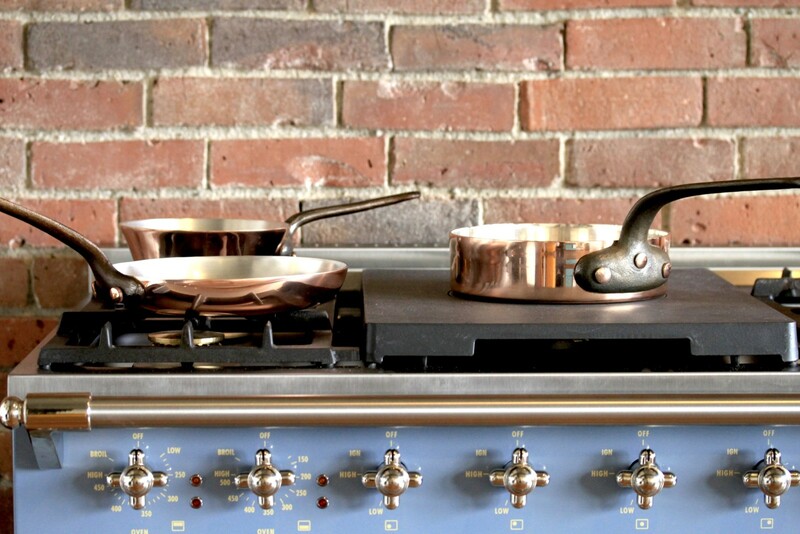 We have found these copper pans to be as gorgeous as they are exceptional in cooking performance. For an even and quick heat, nothing beats copper! 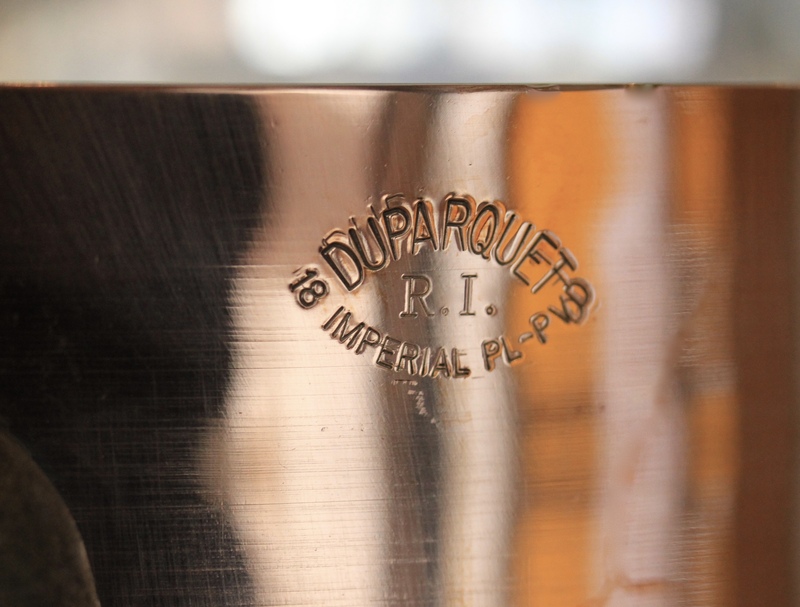 For each piece, Duparquet spins the copper, rivets the handles, tins the cooking surface, and polishes each piece, preparing it for each cook in their kitchen. 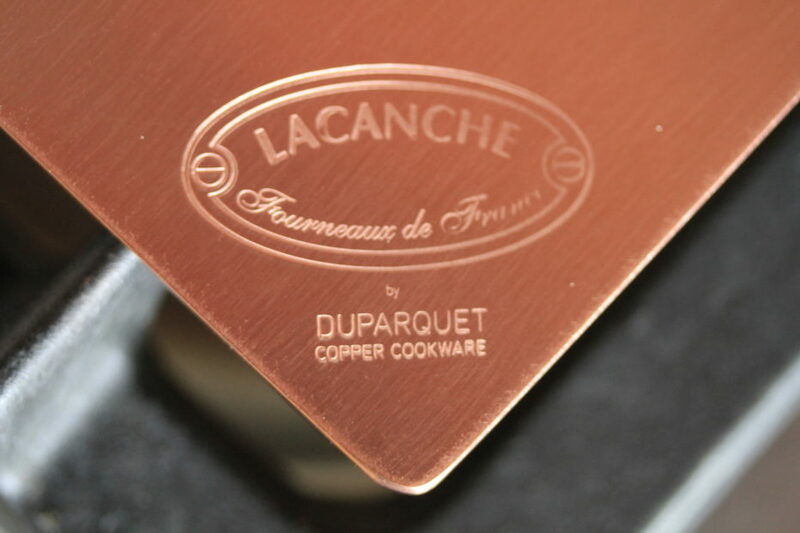 At Art Culinaire, we are partnering with the folks at Duparquet to provide top-level copper cookware for Lacanche owners. For more information, please contact your sales representative. 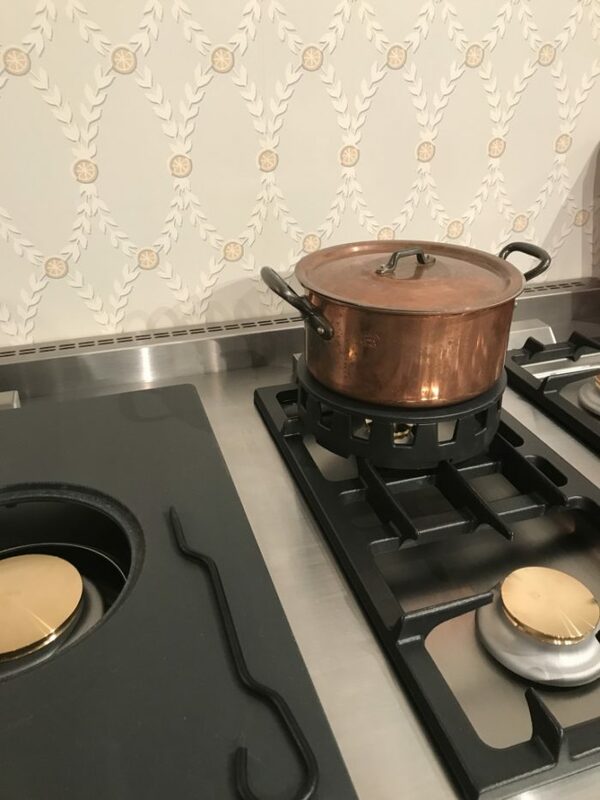 We also offer handmade copper diffusers that will provide the heat distribution of copper to your favorite cookware. You may purchase them here. Posted February 15, 2018 & filed under Lifestyle, Oven Sizes, Recipes. 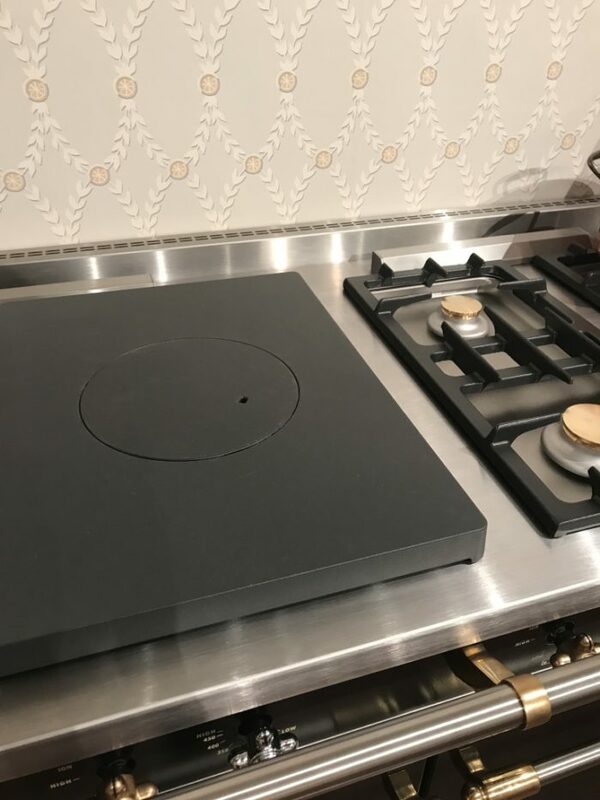 Join us for an afternoon of cooking at Artist and Designer Amy Cupp’s lovely Connecticut home, as we prepare a meal using the various features of the Lacanche Sully 2200. Posted December 3, 2015 & filed under Events, Feature, Lifestyle. It is our delight and true honor to collaborate with goop, the powerhouse e-commerce company, as they set up shop in NYC with goop market. Inside the premier Shops at Columbus Circle at the Time Warner Center, #goopmrkt brings the unique lifestyle brand from online to on Broadway, inviting NYC’s global audience to experience its curated content offline. Designed and Custom-Furnished in Collaboration with Celebrated New York Design Firm Roman and Williams, goop mrkt joins The Shops at Columbus Circle at the Time Warner Center through December 24. Posted April 15, 2013 & filed under Lifestyle. We are delighted to announce the grand debut of the new Lacanche Sully 1800 range that has made it into Frank Prisinzano‘s restaurant Sauce in lower Manhattan. The “Griotte” red Sully is quite the stunner in the window of Tiberio Custom Meat’s, Prisinzano’s studio adjoining restaurant Sauce. 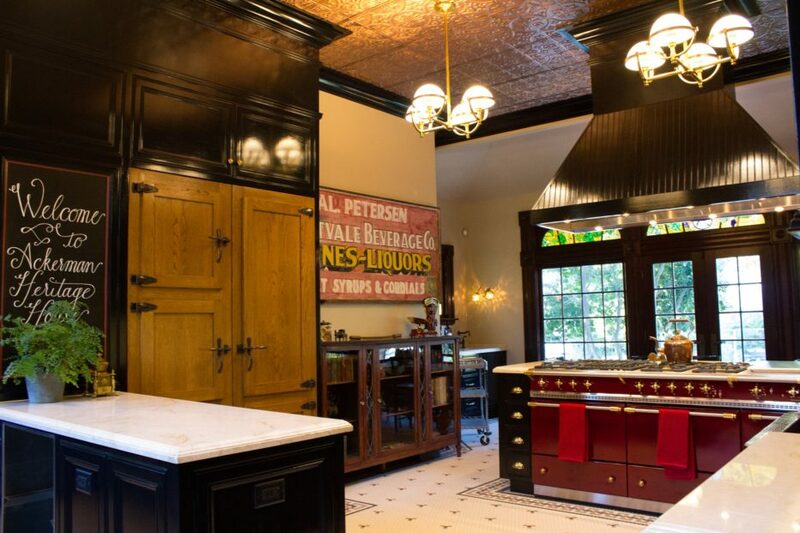 Tiberio Custom Meats is butcher by day, private dining by night where it transforms into a single-table restaurant seating a quaint 10. Lacanche and Prisinzano share many of the same strong-rooted philosophies about food, creating a seamless fusion for collaborative work. While Art Culinaire’s mission is to bring your family back to the table with meals prepared with local organic produce, Prisinzano works exclusively with 100% sustainable products sourced locally. Additionally, all of their animals are fed a complete vegetarian diet free of growth hormones and antibiotics. Glad we could resolve our French vs. Italian rivalries and create a beautiful union together. Posted November 15, 2012 & filed under Events, Lifestyle, Recipes. Let turkey sit at room temperature 30 minutes. Preheat oven to 425 degrees, with racks in upper and lower thirds. Place neck, giblets, carrots, celery, and onion in a heavy-bottomed metal roasting pan. Set a roasting rack over vegetables and coat with cooking spray. Tuck wing tips underneath body of turkey. Tie legs together with kitchen twine. Rub turkey all over with 2 tablespoons butter; season with salt and pepper. 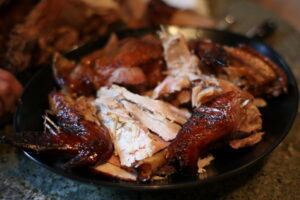 Place turkey on rack in pan; roast on bottom oven rack until golden brown, 30 minutes. Reduce heat to 350 degrees. Add 2 cups water to pan; roast until an instant-read thermometer inserted in thickest part of a thigh reads 125 degrees, about 1 hour. Meanwhile, in a small saucepan, bring vinegar, brown sugar, and orange juice to a boil over high, stirring occasionally. Reduce heat and simmer, stirring occasionally, until mixture is syrupy, about 10 minutes. Remove from heat and whisk in 2 tablespoons butter and orange zest. When thermometer reads 125 degrees, brush turkey with glaze. Rotate pan and roast, brushing turkey with remaining glaze every 15 minutes, until thermometer inserted in the thickest part of a thigh reads 165 degrees, 30 to 45 minutes (tent turkey with foil if browning too quickly). Transfer turkey to a platter. Loosely tent with foil and let rest 30 minutes before carving. Reserve pan with drippings for Pan Gravy. As the holidays near, we thought you might enjoy this! 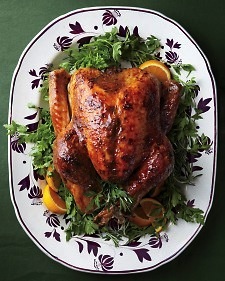 Also, here is a delicious recipe featured on Martha Stewart’s website for inspiration for Thanksgiving next week. Our mouths’ are already watering! We are thankful to be able to share this with you. What are you thankful for this year? Posted February 15, 2012 & filed under Lifestyle, Oven Sizes. Elisa and I took a sunny winter day to visit and cook in the beautiful home of one of our clients in Quogue, New York. 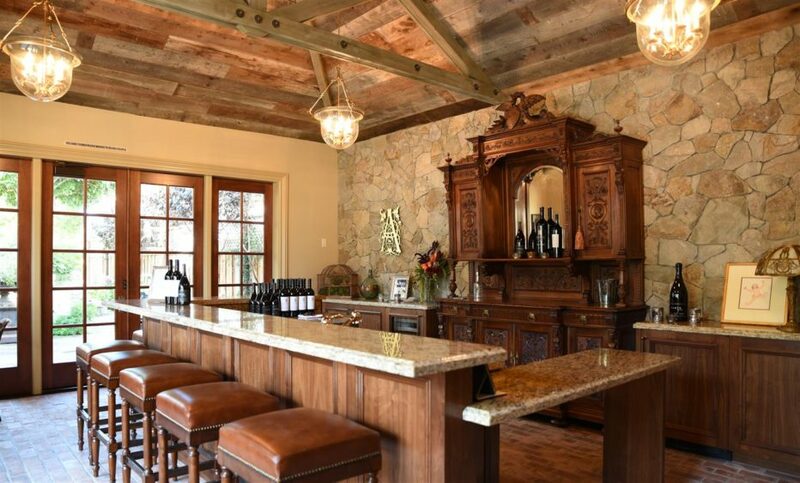 The cabinetry of the house was recently custom designed with Lacanche drawer pulls, oven knobs and towel bars to match their Sully 1800. The finished results were inspiring after sending out boxes full of our brass knobs from headquarters months before! 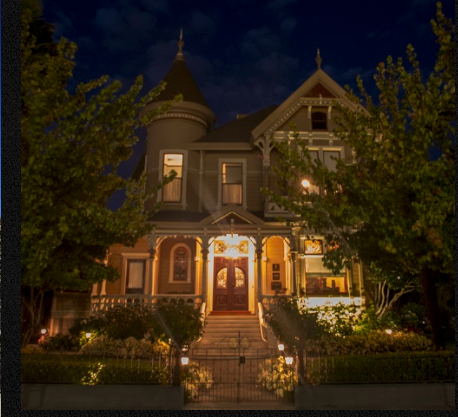 Our culinary choices allowed us to use the magnitude of features on the Sully 1800; we baked the pie crust in the electric oven, roasted the veggies with the gas oven, simmered the cheese sauce on the french plate, and got the big pot of pasta boiling over the set of 15,000 btu burners. The range has the added bonus of allowing us both use the oven at the same time without any space sharing issues – this is truly the cooking duo’s dream range. Posted November 17, 2011 & filed under Lifestyle, Recipes, Tips & Tricks. Fill a large pot with 2 quarts water; add the orange zest, orange juice, 2 cups kosher salt, the sugar, black tea bags, bay leaves, cloves, peppercorns and bourbon. Bring to a boil, then simmer 10 minutes. Add 4 quarts cold water and let cool. Submerge the turkey in the brine, adding water to cover, if necessary. Refrigerate at least 8 hours or overnight. Remove the turkey from the brine; rinse and pat dry. Mix 2 sticks softened butter, 2 tablespoons parsley, 1 tablespoon dried sage and thyme, 1 teaspoon pepper, and 1/4 tablespoon paprika. and 1/8 tablespoon ground cloves. Put the oven rack in the lowest position; preheat the oven to 350 degrees F. Put the turkey breast-side up on a rack in a large roasting pan, tucking the wing tips under. Tie the drumsticks together with twine. Roast until the skin is golden brown and a thermometer inserted into the thigh registers 165 degrees F, about 15 minutes per pound. Transfer to a cutting board and let rest 30 minutes before carving. One of the most frequently asked questions here at Art Culinaire: Can you fit the big Thanksgiving turkey in the Cluny oven? The answer: YES! I went shopping for the biggest turkey I could find, bringing a 20 pounder into the showroom for the Cluny experiment; the record from our staff is 26 pounds! With plenty of room to spare, I brined the turkey with lots of love and sugar, using a recipe from the Thanksgiving issue of the Food Network Magazine. After the overnight brine and a 3 hour roast in the compact gas oven, my bird and came out as crispy, juicy evidence that the Cluny is truly a wonder when it comes to preparing the holiday meal.